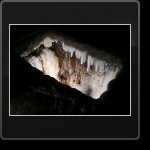 Welcome to The Mine Explorer Society web site. 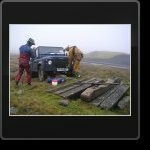 We are a group of friends that have been exploring abandoned mines since the 1980's, predominately in the small village of Nenthead in Cumbria on Alston moor. We are a society and members of NAMHO. 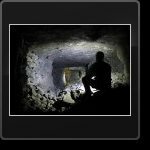 This web site is all about our exploration, including some basic history of the mines. To see the mines that we have been to and our trip index, see Mines / Trip Index. 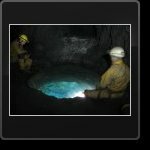 Mine exploration is dangerous and you should only attempt it with a club or an experienced group if you have not done it before or are a novice. See Links for details of clubs and organisations that you can contact. Please Read the Disclaimer. If you are a mine explorer feel free to contact us for information. We will be glad to help if we can and to place any links to relevant web sites. All the information on this web site is a result of reading, surfing, talking, doing and speculation. 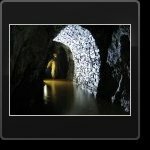 Smallcleugh Mine, A first time trip for Lucy - 20/02/19, another youngen joins the ranks as we take her to the Ballroom. Smallcleugh to Ramgpill Through Trip - 26/07/18, giving the youngens a run for their money. Wellhopeknot Mine - 25/07/18, big hopes dashed quickly. El Conjuro Mines, Busquístar, Spain - 06/06/18, a visit to this open cast iron mine site. Sierra Lújar Mines, Orgiva, Spain - 04/06/18, a return trip to the Spanish mines explored last year, but this time getting a proper tour! 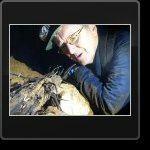 Smallcleugh Mine - 17/03/18, return trip to the Middlecleugh North Vein. The Mine Explorer Society is 10 Years Old. Plans of Nenthead Mines available - full colour A2 prints. Web site written by Mike Hrybyk, all content and photographs Copyright 2004-2019. Site started May 2004. Last Update 26/02/19. To get the best viewing of photographs use a screen resolution of 1280x1024. The gallaries use Active X, so unfortunately Internet Explorer is the best web browser to use.